The only big-business tycoon boasting his own private executive litter box and luxury mega cat condo, the dashing Business Cat misses meetings because he's stuck in trees, sends emails while napping on keyboards, and demands to be let out, then in, then out again. 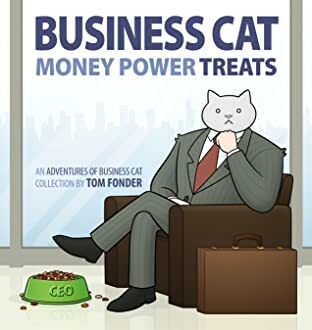 This debut volume of the popular online comic The Adventures of Business Cat collects all the fan favorites plus a generous bonus of all-new material, for value-added experience and high employee satisfaction. 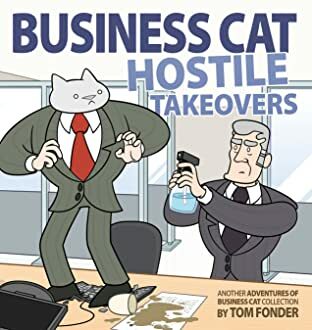 Cat lovers and office workers of the world: meet in the break room and unite!